It sounds like a spin-off from the popular Sharknado films, or maybe Sharkboy and Lavagirl. In 2015 scientists discovered several species of shark living in and around the Kavachi volcano in the south-west Pacific Ocean. One of the most active volcanoes in the region, Kavachi is named after the sea god of the New Georgia Group islanders. Its eruptions have thrust it above the ocean at least eight times since 1939, but each time it has gradually eroded back under the water. Ocean engineer Brennan Phillips and his team were using underwater cameras and disposable robots to study the geology, chemical plumes and biology of the volcano. When they examined their footage they were amazed to see rays and several species of shark swimming inside Kavachi’s caldera (a volcano’s collapsed crater, pronounced cal-DARE-uh). 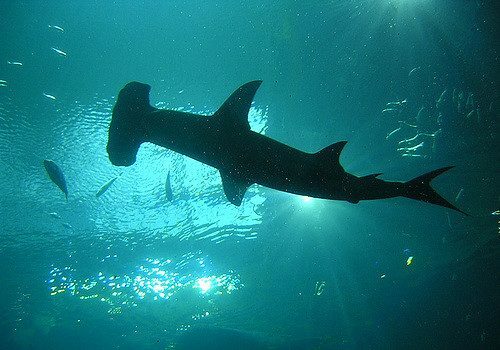 The hammerhead sharks, silky sharks and one sleeper shark seemed perfectly at home in the water there, despite the increased acidity and heat that stops human divers from getting too close. 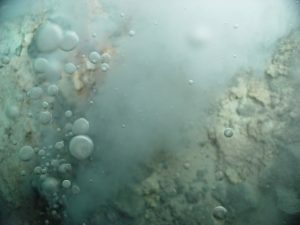 Even when the volcano is between eruptions, bubbles of methane and carbon dioxide rise from Kavachi’s vents and the water has less iron and sulphur than would be expected. 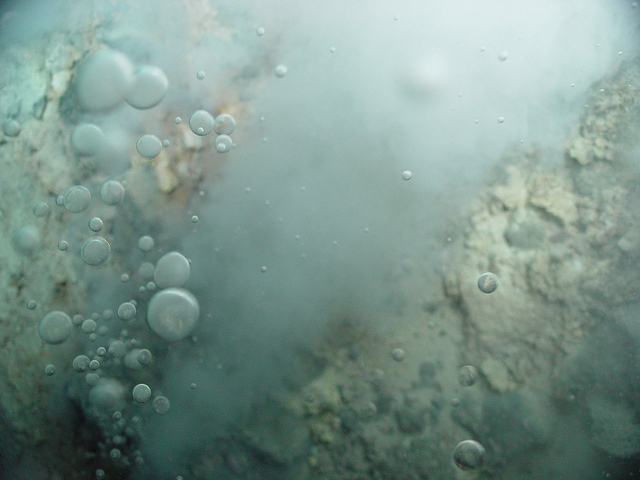 Bubbles of carbon dioxide float upwards from the vent of an underwater volcano. (Image: NOAA Photo Library). It’s incredible that these creatures have adapted to live in this kind of environment, but we don’t yet know what happens when the volcano erupts. Do the creatures living in and around it detect early warning signs and evacuate, or do they perish in the lava flows? As Kavachi is a very active volcano, erupting most recently in 2004, 2007 and 2014, it’s likely that further study will answer the question. 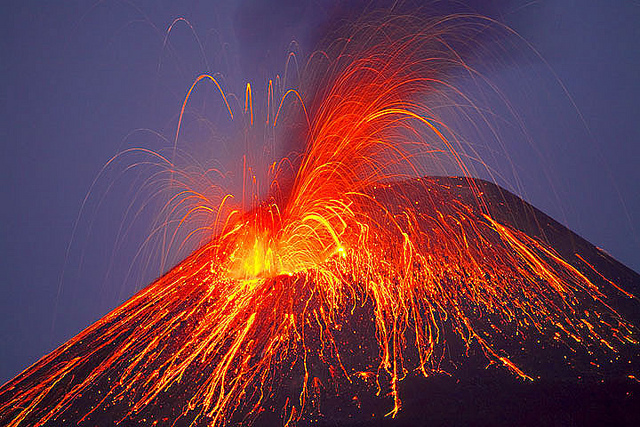 Why do some volcanoes erupt after being dormant? Sam has worked as a forensic scientist as well as for the British government, and has degrees in both archaeology and osteoarchaeology. She has 2 children, is passionate about science, reading, history and music, and loves dyeing her hair bright colours!